The IMDboat and interview host Kevin Smith return to dock at the San Diego Comic-Con in 2018. Permission to come aboard the IMDboat is by invitation only, however fans on the public boardwalk can view the massive LED screen located on the back of IMDboat and watch live as Kevin Smith interviews leading celebrities stopping by the floating video set. You can find out where Kevin Smith will be on and off the boat for San Diego Comic-Con 2018 via ComiKev (http://www.smodcast.com/comikev) at the smodcast.com web site. From Thursday through Saturday (July 19-21), IMDb will produce original video coverage on the open-air top deck, including Kevin Smith’s interviews with casts from top TV shows and movies. Entertainment fans can also tune-in to IMDb’s Facebook page for live daily recaps with Kevin Smith, Kerri Doherty from “The IMDb Show” and IMDb’s Twitch correspondent Ian de Borja. The third-annual IMDboat Party, sponsored by Atom Tickets,will take place onFriday (July 20) from 7:30PM to 10:30PM. Special guests include: Kevin Smith; notable celebrities; industry influencers; IMDb, Amazon, Amazon Studios, Atom Tickets and SModCo executives; and more. This is an invitation-only event. 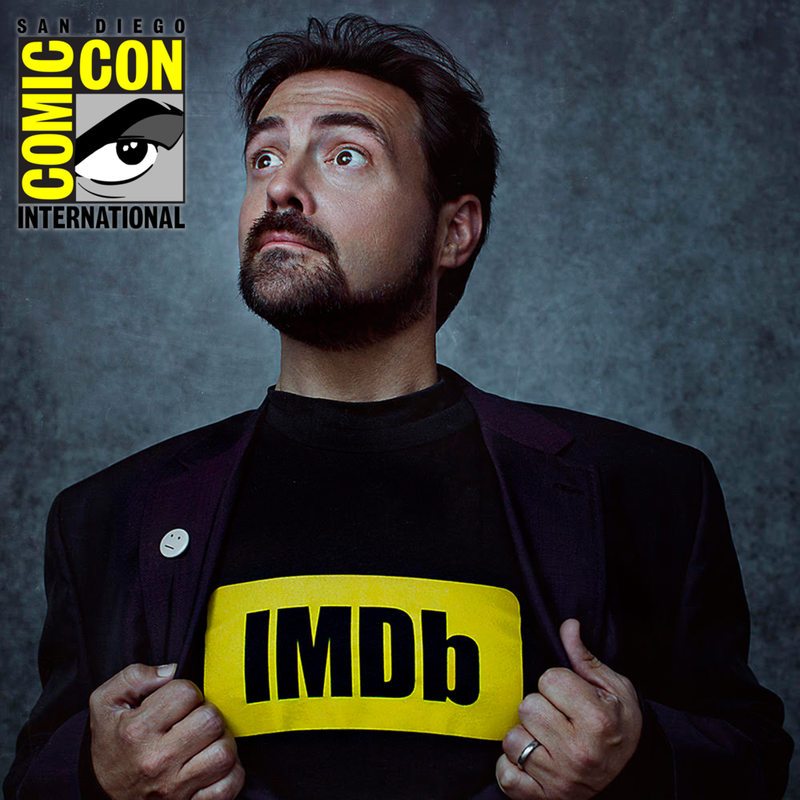 On Saturday (July 21), beginning at 3:30PM PDT, Kevin Smith will host IMDb LIVE At San Diego Comic-Con, a 90-minute live-streaming show broadcast on IMDb, Twitch (twitch.tv/imdb), and Twitter. The show will feature Kevin Smith’s wrap-up analysis of the convention and conversations with special celebrity guests. IMDb, the world’s most popular and authoritative source for movie, TV and celebrity content, today announced that for the third year in a row, writer/director/podcaster Kevin Smith will host three days (July 19-21) of original celebrity video interviews, a 90-minute live show (IMDb LIVE at San Diego Comic-Con) and other exclusive convention coverage aboard the IMDboat (#IMDboat) at San Diego Comic-Con® International 2018. The IMDboat, which is accessible by invitation only, will again serve as a floating video studio and a must-stop destination for talent and industry VIPs. The boat will be docked at Fifth Avenue Landing, immediately behind the San Diego Convention Center, and opens to invited guests on Thursday, July 19. On board, industry guests will enjoy a private workspace and lounge, refreshments, a photo booth, trivia games and gifts provided by Atom Tickets, LEGO and Essentia Water. From the public boardwalk, fans on the street can view the massive LED screen located on the back of IMDboat and watch live as Kevin Smith interviews leading celebrities stopping by the floating video set. To follow IMDb’s exclusive Comic-Con coverage, which includes breaking news, expert analysis, original celebrity interviews, trending information, a 90-minute live show, field pieces shot around the convention (featuring fans, cosplay and top stories of the day), daily convention and panel recaps, and more, visit http://www.imdb.com/comic-con, follow #IMDboat on Twitter or visit IMDb’s official Facebook (https://www.facebook.com/imdb), Snapchat (https://www.snapchat.com/add/imdblive), Instagram (https://www.instagram.com/imdb/) or YouTube (https://imdb.to/comiccon2018) pages. Coverage will be accessible by IMDb’s more than 250 million unique monthly visitors worldwide via IMDb’s website, mobile apps and social media accounts. IMDb’s 2018 San Diego Comic-Con special section, located at http://www.imdb.com/comic-con, features preview coverage, updated photo galleries from the convention, a Comic-Con events schedule and more.